Need some fun & creativity this weekend? 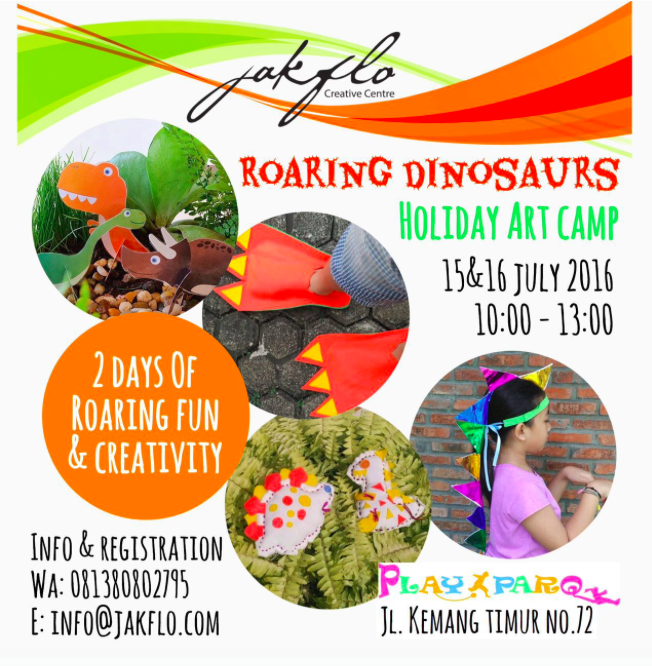 Come and join Jakflo's Holiday Art Camp at Playparq Kemang! Explore an adventure in the Land of the Roaring Dinosaurs! Stomp around with your own Dijo Shoes. Create a floristry arrangement. Showing your own version of the jurassic scenery. Be fierce & awesome posing with your own dino spikes. Make your own dino plush toys & give it as a gift to your friends or family.